« Do We Really Want Historians as Policy Advisers? 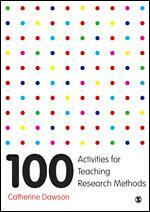 100 Activities for Teaching Research Methods by Catherine Dawson. SAGE. 2016. Teaching research methods effectively is not easy. Methods demand a unique mix of theoretical knowledge, procedural understanding and technical skill (Kilburn, Nind and Wiles 2014). As our research methods underpin much of our knowledge-making within the social sciences, the stakes are high. Despite this, the teaching and learning of research methods remains something of a mystery. In the educational literature there is a consensus that the ‘pedagogical culture’ of methods teaching is under-developed. This is characterized by a lack of pedagogic research, the cross-citations that might suggest a growing body of knowledge or sustained lines of argument and a systematic investigation or evaluation of current teaching and learning (Earley 2014). This lack of research is matched by a lack of teaching resources. At present, expertise tends to be built over a lifetime of teaching and research, with new entrants to methods teaching frequently relying on peers, trial and error and methodological know-how to develop their classes (Earley 2014). Fortunately, this picture is changing and, within this frame, Catherine Dawson’s new book, 100 Activities for Teaching Research Methods, represents an important and welcome addition. This book review by Sarah Lewthwaite originally appeared on the LSE Review of Books blog and is reposted under the Creative Commons license (CC BY 3.0). Only a handful of titles currently broach the practical aspects of methods teaching. Books such as Teaching Qualitative Research: Cases and Issues (2008), Teaching Research Methods in the Social Sciences (2010) and The Teaching and Learning of Social Research Methods: Developments in Pedagogical Knowledge (2016) have each broken substantial new ground. However, these are not teaching resources per se. 100 Activities is a sourcebook. Like Beth P. Skott and Masjo Ward’s Active Learning Exercises for Research Methods in the Social Sciences (2013), 100 Activities offers exercises developed to complement and enhance existing course materials. Skott and Ward’s useful book has an easy tone and stronger quantitative elements. In comparison, I found Dawson’s activities, games, scenarios, demonstrations and role plays more pedagogically coherent (being single authored), and more accessibly structured and articulated. 100 Activities is powerfully organized for ‘pick and mix’ reference and use. It has two parts. The first is given to tutor notes and information about articulating the activities described. Each activity is tried and tested and speaks to Dawson’s extensive teaching experience. All are clearly labelled according to purpose, learning outcome, the materials required and so forth. The author then takes the reader through the key issues in terms of student understanding as well as potential challenges and opportunities when conducting the task in class. Dawson also clarifies the learning material for teachers who may themselves be unfamiliar with the content and task objectives. ‘Useful terms’ are highlighted alongside preparatory reading, further reading and a useful cross-reference to related activities. The second part delivers student handouts. These are eminently photo-copyable thanks to the book’s A4 format (another USP), and they can also be downloaded from the companion website. From here, the contents are thoughtfully indexed and can be traversed in three ways: thematically; by difficulty (from undergraduate/community education through to doctoral); and by activity type (e.g. role play, discussion, etc). Thematically, 100 Activities dedicates Section One to the important work of ‘Finding and Using Sources of Information’. Search, evaluation, bias and critique are all covered here. Section Two details ‘Planning a Research Project’. This mixes exercises for qualitative and quantitative understanding that cover everything from producing aims and objectives, probability samples and purposive sampling to more tacit and operational aspects of research, such as costing and working collaboratively. Section Three concerns research conduct and Section Four turns to using and analyzing data. Section Five is about disseminating results. Sections Six and Seven are more reflexive in their pedagogical orientation. Section Six is given to ‘Acting Ethically’, while the final section describes ten activities that deal with ‘Developing Deeper Research Skills’ and gestures to the philosophy of social science, theory building, positionality and so on. In terms of pedagogical substance, the majority of activities do the important work of connecting students to the research space (Kilburn, Nind and Wiles 2014). These focus on raising awareness and increasing understanding of issues and techniques. Taken cumulatively, the activities also gesture to the extended, experiential and reflexive learning valued by experts in methods teaching (Lewthwaite and Nind 2016). Whilst discussions of learning theory and pedagogy are limited by the author’s chosen format, the pedagogic decision-making, teaching strategies and in-class tactics that can be used to engage learners are available throughout. References to pedagogic literature are also made at key points for those who wish to pursue them, with explicit references to strategies for reflexive practice, deploying Socratic Method, experiential and peer learning amongst others. A book such as this will be controversial for some. In methodology terms, with only 100 activities to play with and a generic social science audience, Dawson has opted not to include more advanced and specialized methods within this one sourcebook: for example, secondary analysis, diary method and case study are not explicitly represented. The book’s organization (with theory discussed towards the end) may rankle with proponents of ‘thinking with theory’ (Jackson and Mazzei 2012), whilst the notion of possible template teaching will unsettle others. However, the author is at pains to argue that this is a sourcebook, not a complete methods course. Teacher interventions are essential to the appropriate use of the activities. For example, Activity 88, ‘Conducting Research with Vulnerable People’, has students developing and discussing fictional scenarios to develop ‘a deeper understanding of the issues involved’. Some understanding will be achieved, but clearly this one-hour class would not be considered sufficient to tackle this complex and challenging topic as a standalone session. If Dawson’s writing presupposes an inexperienced reader in teaching terms, this makes sense, as methods teachers are frequently recruited from amongst methods specialists and research staff who may lack formal training or significant teaching experience. Dawson also writes for readers with potentially limited methodological knowledge. 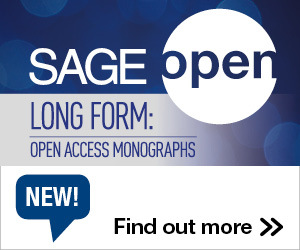 Taken together, this belt-and-braces approach makes the book highly accessible – but it also raises broader questions regarding who should teach methods and the status of methods teaching in general. In summary, 100 Activities for Teaching Research Methods offers a great resource for early career teachers who are seeking to build their pedagogic repertoire, and it represents a substantial marker in the development of the field. It is convenient, powerfully organised and road-tested. More experienced methods teachers will have their own views on the learning design, form and salience of particular activities and how they relate to the finer points of methodology. Nonetheless, this carefully designed title will offer even the most seasoned methods teacher a useful foil, counterpoint or extension to their own strategies and in-class activities. This entry was posted in Bookshelf, Teaching and tagged Book Review, Research Methods. Bookmark the permalink. Post a comment or leave a trackback: Trackback URL.